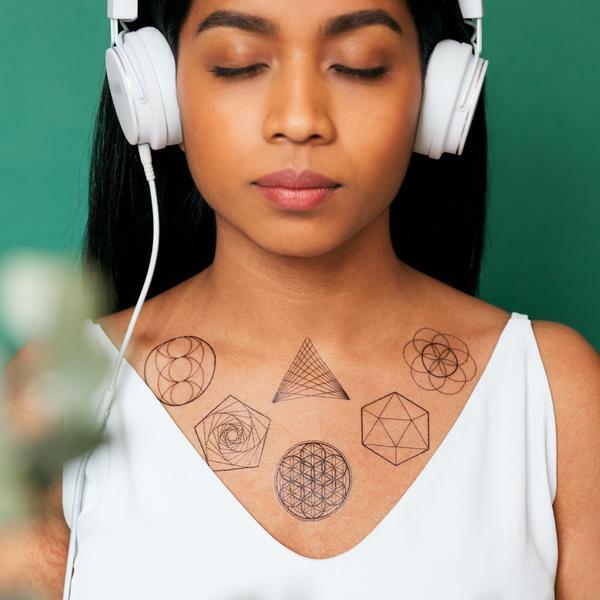 Today’s Tattly release is a multisensory experience combining the calming scent of Eucalyptus, a sound meditation, and six sacred geometric shapes. The accompanying sound meditation download by Sara Auster features her playing crystal singing bowls. Zen out everyone!